Slovak Minister of Agriculture Gabriela Matečná said that the bioeconomy is a necessity. But Central and Eastern Europe is still lagging behind in its uptake, but the key to the transition may be in the regions. EURACTIV Slovakia reports. In February 2012, the European Commission presented its first dedicated bioeconomy strategy. Since then, a number of member states and regions, mostly in Western and Northern Europe, have adopted their own strategies to support sustainable and innovative use of biomass. Nevertheless, with the pressure on natural resources continuing to grow and with Central and Eastern Europe lagging behind, the theme of this year is revision of the European bioeconomy strategy. 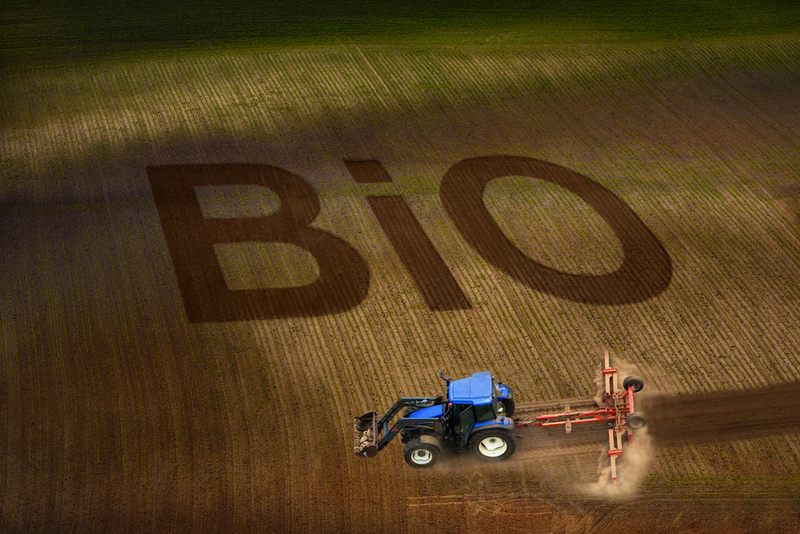 The objective is clear: improve the uptake of bioeconomy. “Today, bioeconomy is a necessity and not simply one of the options for effective and sustainable exploitation of biomass and natural resources,“ said Gabriela Matečná, Slovak minister of agriculture and rural development in her opening statement at the Bratislava Bioeconomy Conference on Monday (17 October). The conference, organised as an official event of the Slovak Presidency of the Council, built upon previous events, such as the Bioecnomy Summit in Berlin last December, the Bioeconomy Stakeholders ’ Conference in Utrecht this April, and the Bioeconomy Congress in Lodz just two weeks earlier. The revision process so far has “clearly displayed the need for a more balanced involvement of the regions in the process of establishing and implementation of bioeconomy“, underlined Matečná. Accordingly, the conference in Bratislava was titled “The role of regions in the European bioeconomy“. “The regions are key because they are close to the actors in the field,“ Rogier Van Der Sande from the Committee of the Regions told EURACTIV.sk. “It’s on the local and regional level that bio-resources and biomass are mobilised in a smart and sustainable way and that they are translated into new business opportunities, new markets and new jobs,” he explained. Van Der Sande was one of many speakers at the conference, who highlighted the importance of cooperation between stakeholders from knowledge institutions, industry, as well as all the levels of government (the so called triple helix formula). One such example is the Biobased Delta, where the three Dutch provinces of Noord-Brabant, Zeeland and Zuid-Holland – of which Van Der Sande is the regional minister – cooperate with local chemical and agro sectors to support bio-based industry in the region. “The cluster has successfully created a strong profile based on its own strong features and characteristics,” explained Van Der Sande, who believes that this should be the formula for other regions in Europe as well. “We must not forget that within and throughout Europe, each country, region, cluster or partnership has its own characteristics and features, depending on expertise, existing practices and available resources. There is no one size fits all [bioeconomy strategy]”. The idea of not one, but many bioeconomies in Europe was also stressed by John Bell, Director for Bioecnomy in DG Research and Innovation at the European Commission. “There will be no bioeconomy without biosociety and bioregions,” he said in his speech at the conference, where he highlighted the need for transition of European bioeconomy “from niche to norm”. According to Bell, bioeconomy is already “a reality and a global trend – a thing”. He also pointed out, however, that the region with “the greatest potential” for development of bioeconomy – Central and Eastern Europe – is lagging behind. To unlock this potential, there needs to be political as well societal ambition, stressed Bell. The recent publication of the Lodz Declaration of Bioregions can be seen as “a beginning of a movement in Central and Eastern Europe”, he said. Bell affirmed that this movement will be supported by the Commission, nevertheless, the uptake of bioeconomy “needs to happen from the roots up”.